Bringing my Breastfed Baby to Church ~ Mommy Meowmeow! Last Sunday as we were preparing to go to church, Daddy A asked me: "So, are we bringing Z with us?" Because I was PMS-ing, I immediately and emphatically explained why we had to leave her to the care of the nanny this time. When I "returned" ehrm I mean started to attend regularly, we did not always bring Z. Again, the decision always depended on external factors - is it too warm, does it look like it's gonna rain, is she ill (she might catch a bug), am I PMS-ing, are we bringing a car or just walking, etc. This, despite the fact that she was baptized already. "Today the choir will sing but the most beautiful choir of all is the choir of the infants who will make a noise. Some will cry because they are not comfortable or because they are hungry," he said in a familiar, relaxed tone to the parents. Michelangelo's frescoes in the Sistine Chapel are some of the world's most celebrated works of art. The ceiling depicts the creation of man and the altar wall shows a severe God at the Last Judgment. But the pope told the mothers not to feel intimidated by the surroundings. 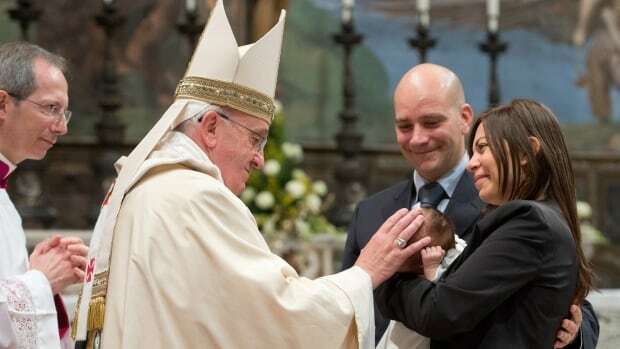 Pope Francis has expressed his support of breast feeding in public. In an interview with the Italian newspaper La Stampa, the first Jesuit Pope linked topics including recycling food and wastefulness to breastfeeding: saying mothers should not be ashamed to feed their hungry babies. He expressed his view via the story of a young mother who attended his weekly Papal General Audience. In Baptism the child is welcomed to the Catholic faith. Let us remember that it doesn't stop there. 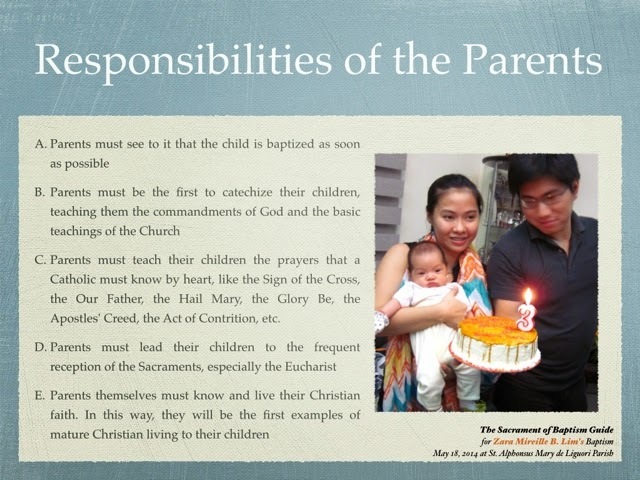 As parents, we too have responsibilities to help ensure they grow in faith. The operative word here is to grow. I guess it's fair to reason out that we must start to nurture and guide them in their faith starting from early childhood; I mean, we cannot just expect them to just start living their faith starting on an appointed date or age if they haven't been really living it out. 3. "While I respect the intention behind it, a parent who leaves a child at home “until they are old enough” is being unjust regarding the child’s religious education. Education begins unconsciously before it begins consciously. Your baby or toddler needs to be given the opportunity to learn the rhythm, sights, sounds, and smells of the Mass before he is conscious enough to understand the Mass. Robbing a child of the sensory education makes catechesis that much harder later on. Spirituality is primarily a sensory call (from God) that leads to a transformative response. Robbing a child of that early sensual experience of God and His Church is a very serious impediment to future catechesis and spiritual development." (SOURCE: patheos.com) ---> This is the point that struck me the most. I highlighted everything for emphasis. 4. "...there is a difference between a fussing baby and a screaming baby. As a matter of courtesy to the other worshippers, parents should always remove a child who is being loud and cannot be consoled after about a minute or so..."
(SOURCE: patheos.com) ---> Yes, we must still be sensitive to the rights of other parishioners. 13Then some children were brought to Him so that He might lay His hands on them and pray; and the disciples rebuked them.14But Jesus said, "Let the children alone, and do not hinder them from coming to Me; for the kingdom of heaven belongs to such as these." 15After laying His hands on them, He departed from there. 15And they were bringing even their babies to Him so that He would touch them, but when the disciples saw it, they began rebuking them. 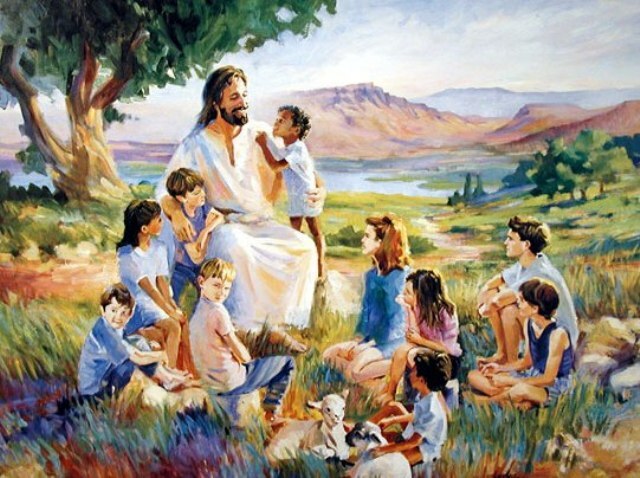 16But Jesus called for them, saying, "Permit the children to come to Me, and do not hinder them, for the kingdom of God belongs to such as these.17"Truly I say to you, whoever does not receive the kingdom of God like a child will not enter it at all." 1. Make sure that they've had a feeding (breast, bottle, or solids) and that you have some snacks and drinks on hand just in case they get hungry again. 2. Dress them appropriately for church. If it's too warm, opt for cotton materials and if it's cold, bring a sweater, bonnet, etc. If the weather is really terrible, use your own judgment if you should still proceed or wait for the next best schedule. 3. Bring church-appropriate toys. For my baby we bring small board books and a little stuffed toy. We try to avoid bringing noisy toys, as much as possible. 4. Breastfeeding? If you want to do it discreetly, it's better to prepare by wearing a breastfeeding top and breastfeeding bra. I guess this will also help deter wandering eyes or unwanted attention (when we're just feeding baby, i know!). If it's too warm and baby hates nursing covers, just bring an extra towelette to cover the extra bit of skin that could possibly show. 5. Try baby wearing! It has been our life-saver when Z is fussy. Also when I want to nurse ever so discreetly. And especially if she's really knocked-down asleep! 6. Do advanced reading. I'm so thankful for Fr. Francis Salcedo who generously shares his homily on Facebook. If I'm able to read in advance, I'm also able to understand and reflect better. And not feel too guilty that I didn't 'get anything' out of the mass because of the fussy times. Thank you so much Fr. Francis! Let us remember that as parents, it is one of our responsibilities to catechize our children, teach them our prayers, lead them to the frequent reception of the sacraments (especially the Eucharist) and know and live our Christian faith so we can set a good example for our children. I know that putting this out on the blog is just one step. Being prepared means it is more manageable but it doesn't automatically make it easier. That's why I hope we can pray for all families especially for those with very young children that they'll be able to 'return' to church and to attend Mass as a family. To my Baby Z, I'm sorry for the times we left you at home just so we can all be comfy. They are right. Once babies have been baptized (I actually believe that it also applies even before the baptism), they should not be merely tolerated in church. Dear Z, you belong, you will always be included.